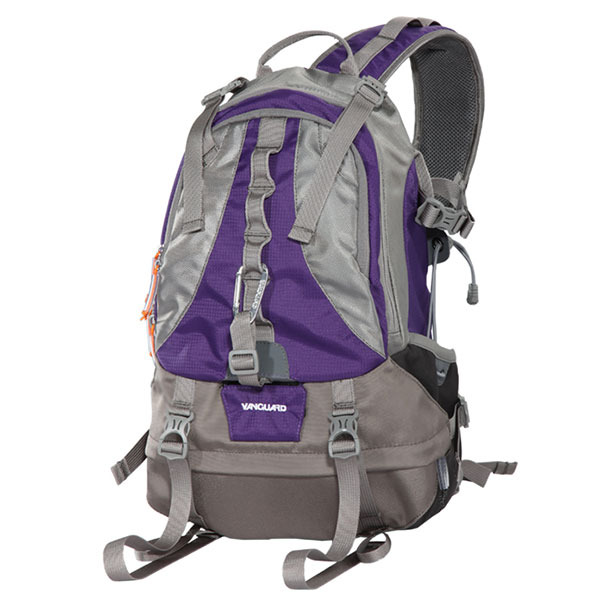 The gray/purple Kinray 43 Sling Bag from Vanguard is a double threat when it comes to buying a pack that can serve many purposes. Whether you're a photographer or birder, this lightweight 2.2 lb bag will hold everything you need to get the job done. With its ability to serve as a reliable sling bag or daypack, this durable and full-featured bag can handle just about any demand you make of it. It's rated to hold your straight or angled spotting scope with a maximum objective of 65mm or your DSLR with a kit lens attached or your DSLR system with up to 3-4 lenses, one up to a 70-200mm f/4, flash, tripod and various accessories. Strap your tripod to the side with the included straps.